Futurestars, the charity run by former Blue Simon Milton, has launched a Kit Amnesty in partnership with the East of England Co-op. From this week, the Co-op will be hosting collection points for sports kit and equipment in all 122 of its food stores across Suffolk, Essex and Norfolk where customers can bring along their unwanted sports kits and equipment. The kit will then be collected and packed in a 20ft container, donated by Fendercare, and shipped out to Lomé in Togo in September, where it will be used by underprivileged children. 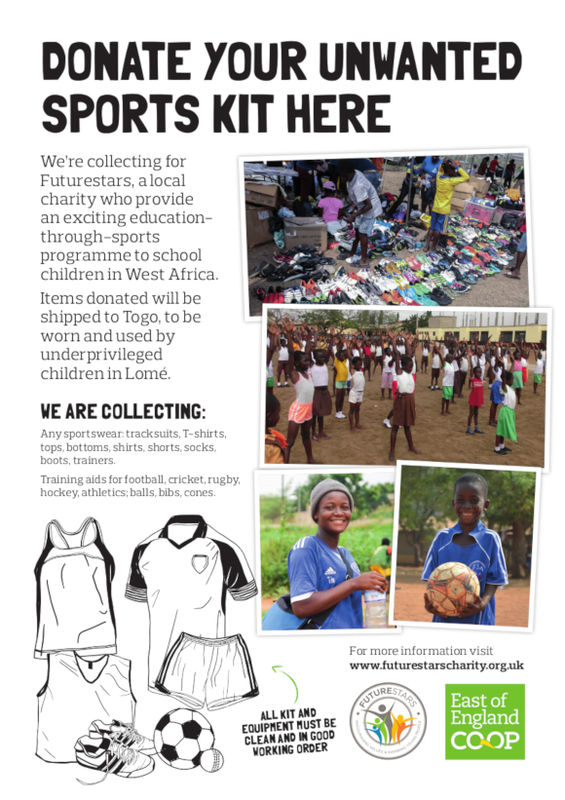 The Co-op are collecting any sportswear: tracksuits, T-shirts, tops, bottoms, shirts, shorts, socks, boots, trainers, as well as training aids for football, cricket, rugby, hockey, athletics such as balls, bibs, cones, although all kit and equipment must be clean and in good working order. Milton, who left Portman Road after 30 years to take on a role as the director of Futurestars in the summer of 2017, said: ”Futurestars ambassador Titus Bramble and I visited the East of England Co-op Store in Felixstowe on Monday morning to launch this amazing Kit Amnesty and partnership. “We met the Co-op management and staff and saw the first pieces of sports kit donated into the specially designed Co-op recycling bins. 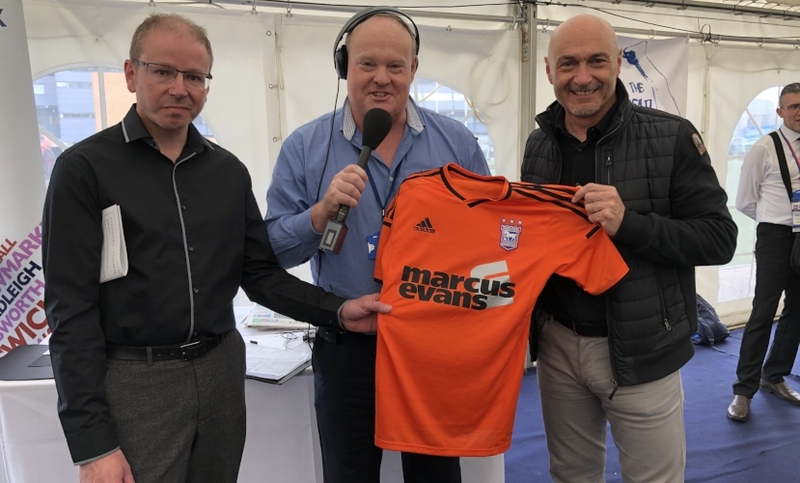 Milton was among the many former Blues players on Saturday’s Life’s a Pitch on BBC Radio Suffolk where Mark Murphy presented him with the first shirt of the amnesty (1hr 11min 28secs). You can read Milton talking in depth about Futurestars here, while Blues U16s coach Bramble speaks about his experiences as lead coach and ambassador for the charity here.